Ben McKelvie believes he's moving up in the world when he and his fiancee buy a house in the cushy Washington, D.C., suburb of Barcroft. Instead, he's moving down-way down-thanks to Madeleine Roux, the crazy neighbor whose vermin-infested property is a permanent eyesore and looming hazard to public health. First, Ben's fiancee leaves him; then, his dog dies, apparently killed by a predator drawn into Barcroft by Madeleine's noxious menagerie. But the worst is yet to come for Ben, for he's not dealing with any ordinary wild animal. This killer is something much, much worse. Something that couldn't possibly exist-in this world. Now, as a devilish creature stalks the locals, Ben resolves to take action. 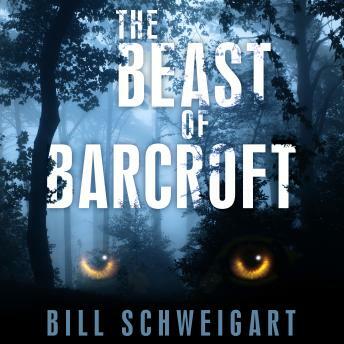 With some grudging assistance from a curator at the Smithsonian's National Zoo and the crackpot theories of a self-styled cryptozoologist, he discovers the sinister truth behind the attacks, but knowing the Beast of Barcroft and stopping it are two different animals.